Lower cost. Remodeling is an expensive undertaking, and keeping your project within the allotted budget is a challenge. When installing pre-finished wood flooring, Portland homeowners often discover it’s less expensive than unfinished. That’s because having the finish applied at the factory reduces the labor costs required to install the flooring. 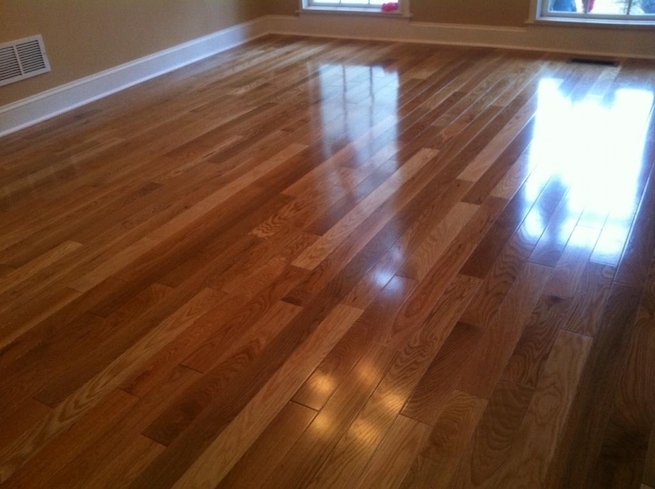 That makes pre-finished wood floors a clear winner for upgrading an existing home. Enhanced durability. A much more durable finish can be achieved at the factory than is possible with an on-site job. With pre-finished wood flooring, Portland Oregon residents can obtain floors that will last longer under heavy wear and tear – particularly in high-traffic areas of the home. Additionally, pre-finished wood flooring resists warping and buckling and is ideal for rooms that are exposed to high humidity or temperature changes. Less mess and fumes. Finishing wood flooring on-site is a messy job, and the products used can release toxic fumes and other byproducts into the home. With pre-finished hardwood flooring, Portland homeowners don’t have to worry about their families breathing harmful fumes. Unfinished flooring has its uses, especially when you’re renovating a historic home or attempting to match existing floors. For most remodeling projects and home upgrades, however, pre-finished wood floors offer many advantages.